Fearing backlash and protest by students in the University of Kashmir, the officials have for the first time banned the entry of the students in the 8th Jammu and Kashmir Science Congress which starts today. According to the sources, the recent outburst against the anti-Islam movie made by an American film maker has the potential to stoke protests inside the varsity campus and in order to curb that, the university officials have declared an official holiday on Monday to prevent any untoward incident from happening. Sources said the University officials are caught in a fix over the upcoming 8th J&K Science Congress as the officials are under immense pressure to ensure that every one of them stands up while the National anthem is being played. “Officials believe that the history might have been repeated and the students, if allowed to attend the function, would have refused to stand up while the anthem is being played. This would have been seen as an utmost disrespect towards the Union of India as the Vice-President of India Hamid Ansari is going to inaugurate the event,” sources said. “In order to prevent any untoward incident from occurring an official holiday has been declared by the varsity officials and no student will be allowed to enter the university premises on that particular day,” sources added. 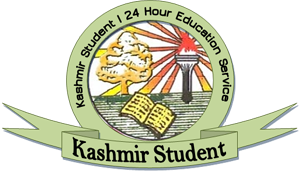 The University has been organizing the J&K Science Congress for the last seven years and during the previous functions the officials had kept the entry of all the students open, but this time no student will be allowed to participate in the function. 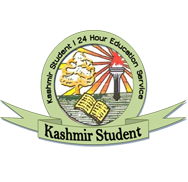 Previously over 1500 students of various subjects used to attend the particular function but, as a circular has been issued no one will be allowed to participate in the event. Another circular which couldn’t be traced has been issued to all the departments in which it has been clearly mentioned that ‘no student should come to the varsity on the particular date’, sources said. “These are actually precautionary measures as the Governor N N Vohra, Chief Minister Omar Abdullah and Minister for Information Technology Aga Ruhullah are participating in the event. The university officials are trying their best to make the event hassle free,” sources said. The three-day event is expected to be attended by over 1,000 delegates from across the country. The main objective for the science congress is to provide an opportunity to the participants from the state to interact with leading scientists from other parts of the country, the spokesperson said.